I was hoping to write this update and be in a more positive place than my last post on the subject but unfortunately I am still not getting the answers we want from the wedding coordinator in Santorini. As somebody who works in the wedding industry myself, I’m pretty fed up and in disbelief that they would want a bride and groom to feel so negative so close to their wedding, but there you go. Other than not knowing basic details like the menu for certain yet, plans we do have control over have been going well. 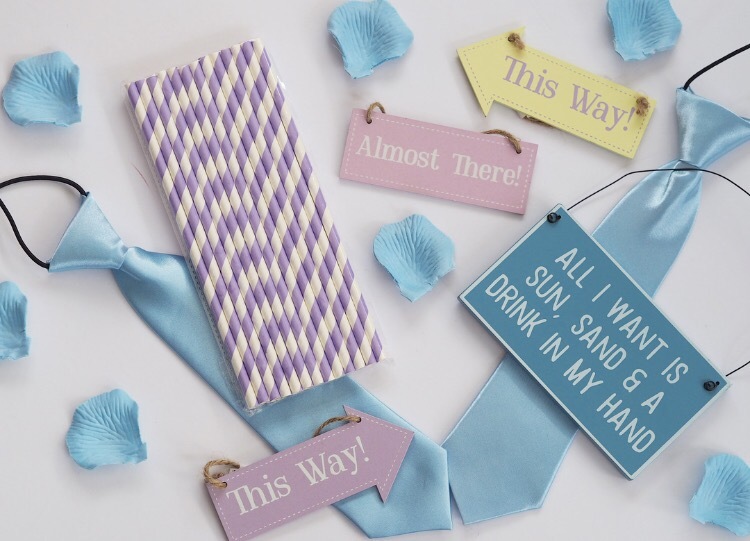 I had a little shopping spree on Amazon for little bits to add in to the wedding for our colour scheme of pastels, and I love how the colours go together. The other night I had a little panic about whether to go for a tiara or a headpiece and asked for recommendations on my Facebook and my lovely friend Emma has offered to lend me her stunning headpiece! I think it’s the right choice as it’s more understated than a tiara but will look lovely with my dress and veil on the day. I’ve also been picking up little extras like hair clips for the flower girls and shoes for the boys to wear plus gifts for our bridal party, and everything seems to be coming together now. We have decided to have a blessing when we are back, on the day of our uk evening reception, and we will be meeting with the vicar next week to discuss details. 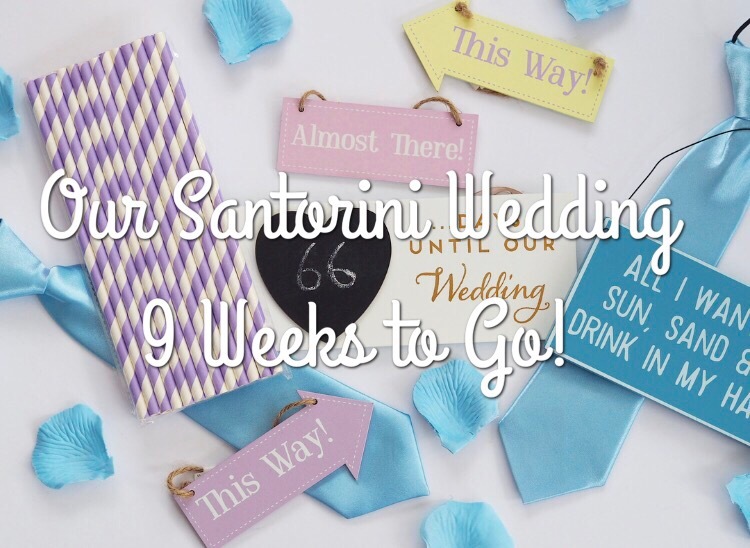 I’m a bit of a homebird really, so I’m just as excited for our reception as I am for Santorini. I’ve been pushing myself fairly hard over the past couple of weeks to tone up a little more as this Friday is my wedding dress fitting. I’m really looking forward to putting the dress on again with my shoes and veil. It’s going to make everything seem quite real! That’s about all for this week, by my next update it’ll be less than two months until the big day – it’s going so fast!